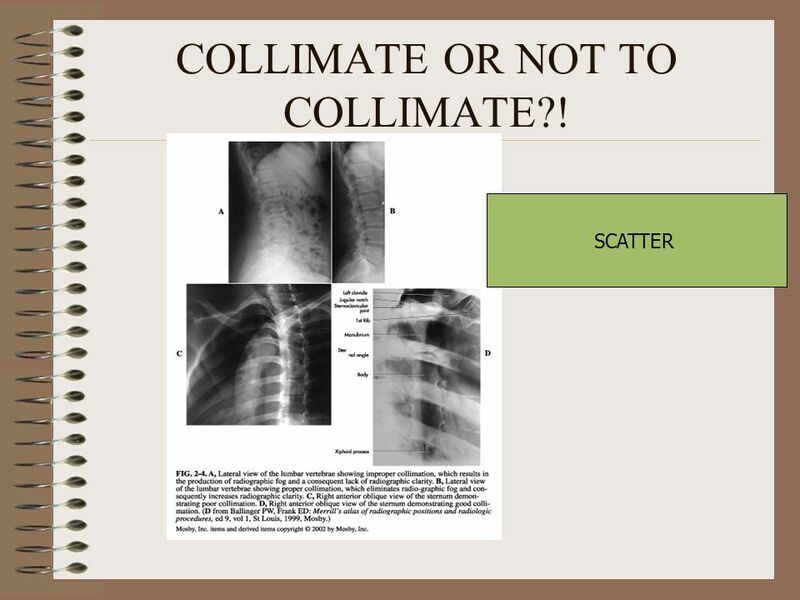 5 COLLIMATE OR NOT TO COLLIMATE?! 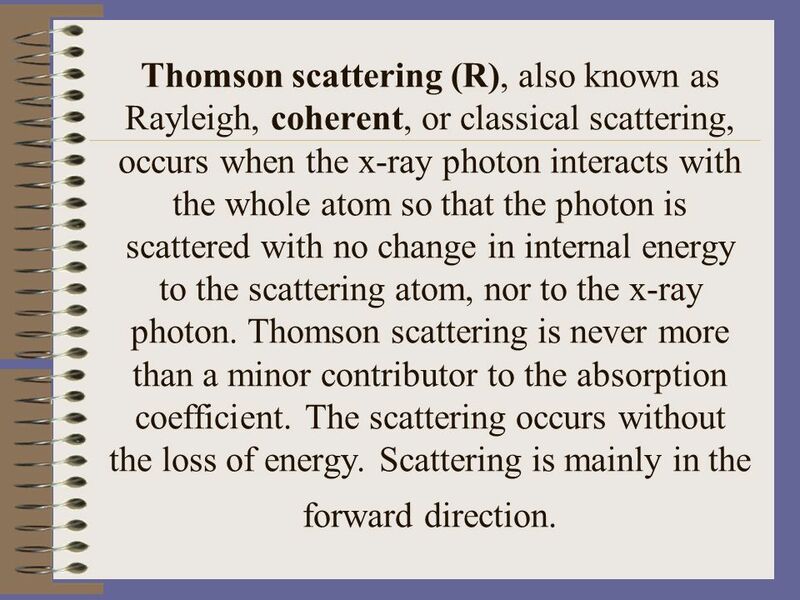 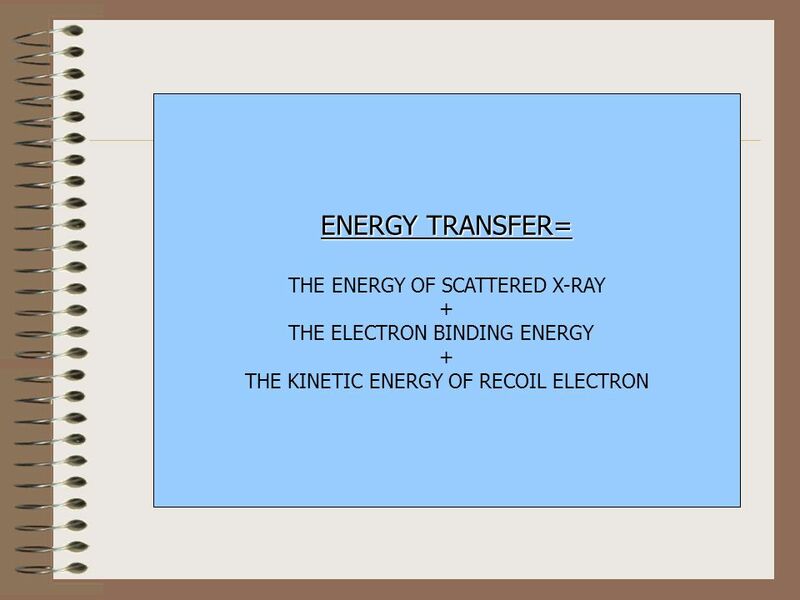 7 Thomson scattering (R), also known as Rayleigh, coherent, or classical scattering, occurs when the x-ray photon interacts with the whole atom so that the photon is scattered with no change in internal energy to the scattering atom, nor to the x-ray photon. 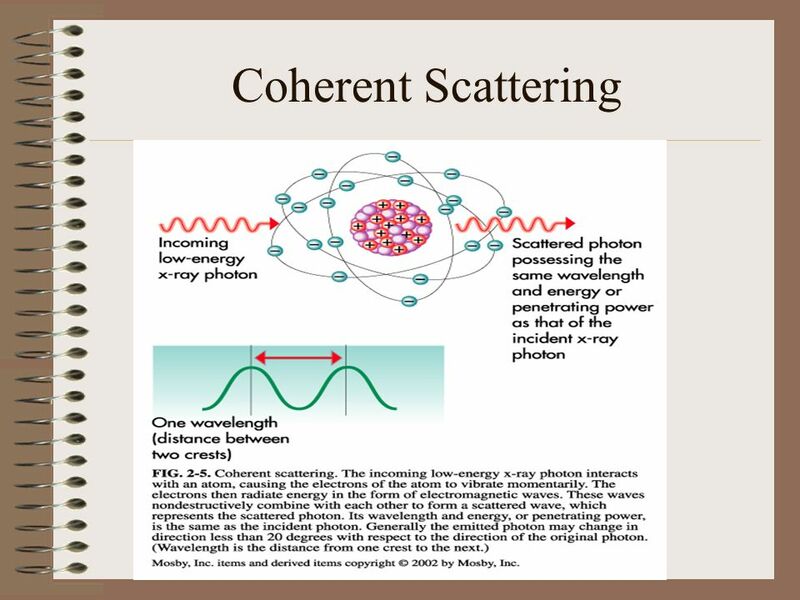 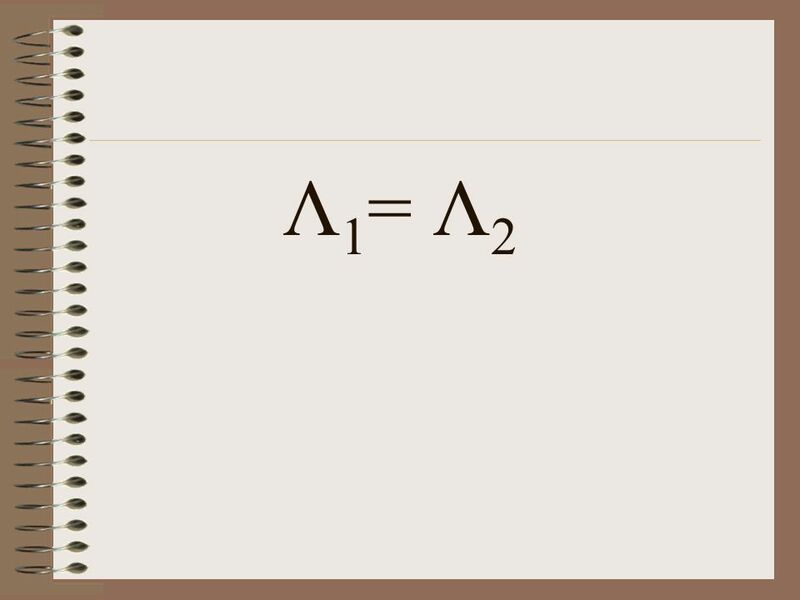 Thomson scattering is never more than a minor contributor to the absorption coefficient. 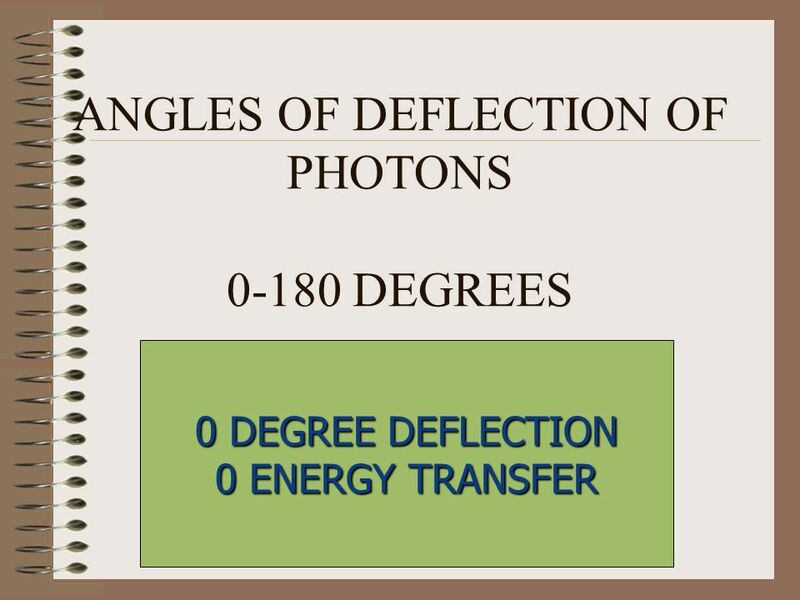 The scattering occurs without the loss of energy. 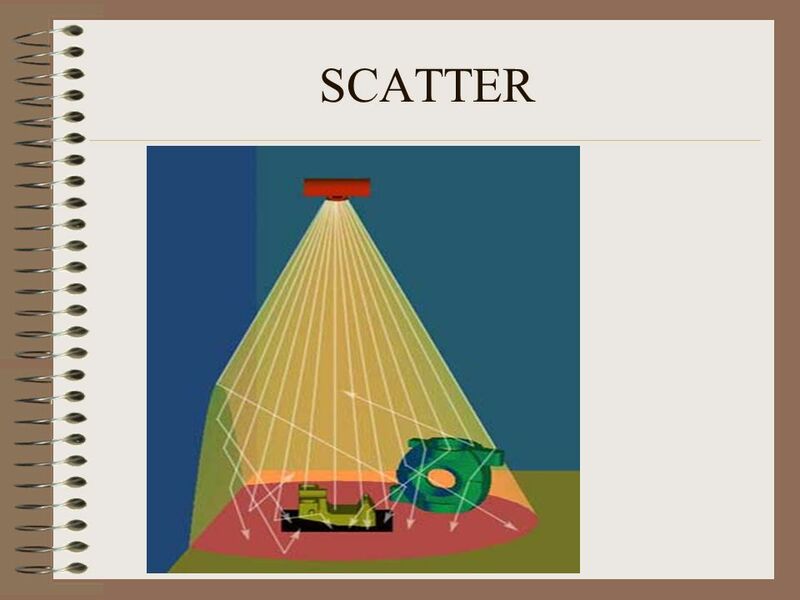 Scattering is mainly in the forward direction. 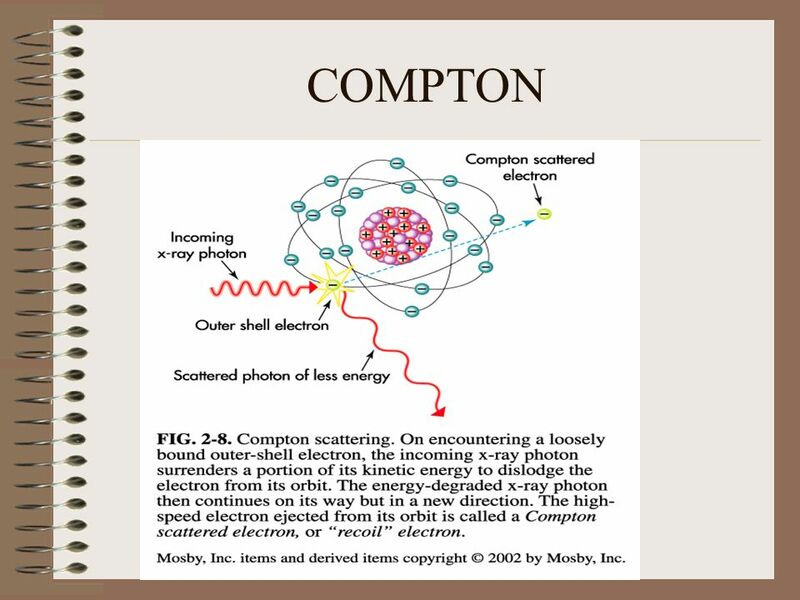 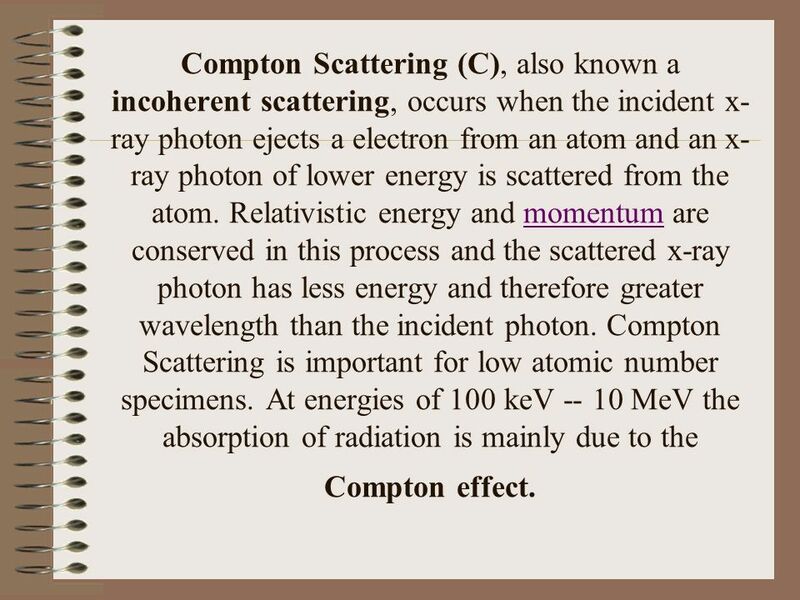 15 Compton Scattering (C), also known a incoherent scattering, occurs when the incident x-ray photon ejects a electron from an atom and an x-ray photon of lower energy is scattered from the atom. 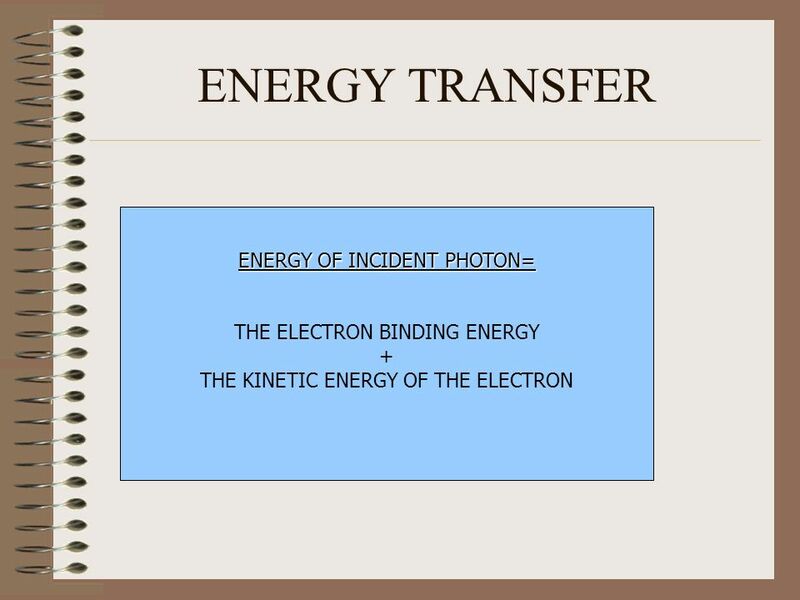 Relativistic energy and momentum are conserved in this process and the scattered x-ray photon has less energy and therefore greater wavelength than the incident photon. 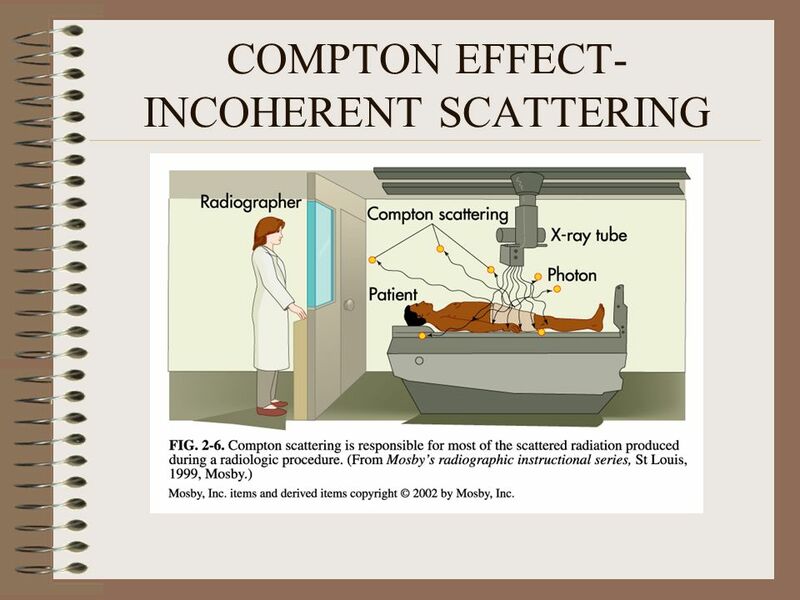 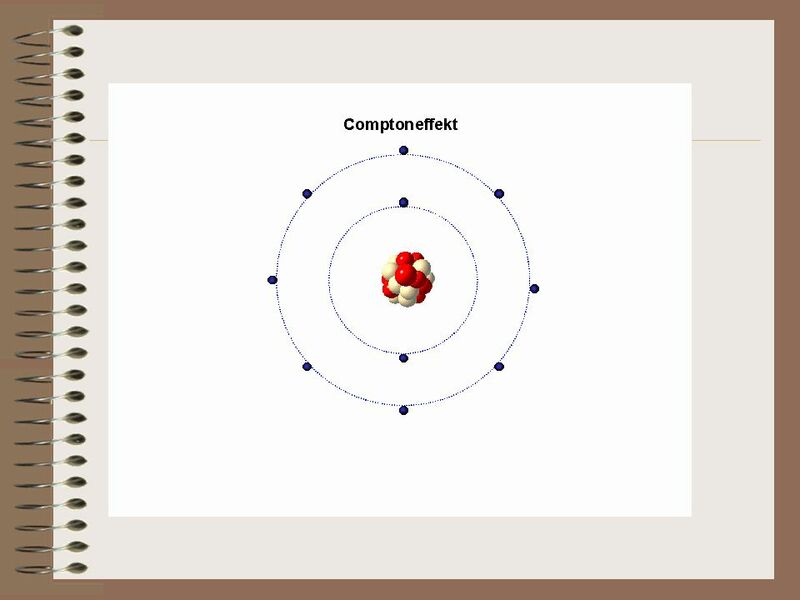 Compton Scattering is important for low atomic number specimens. 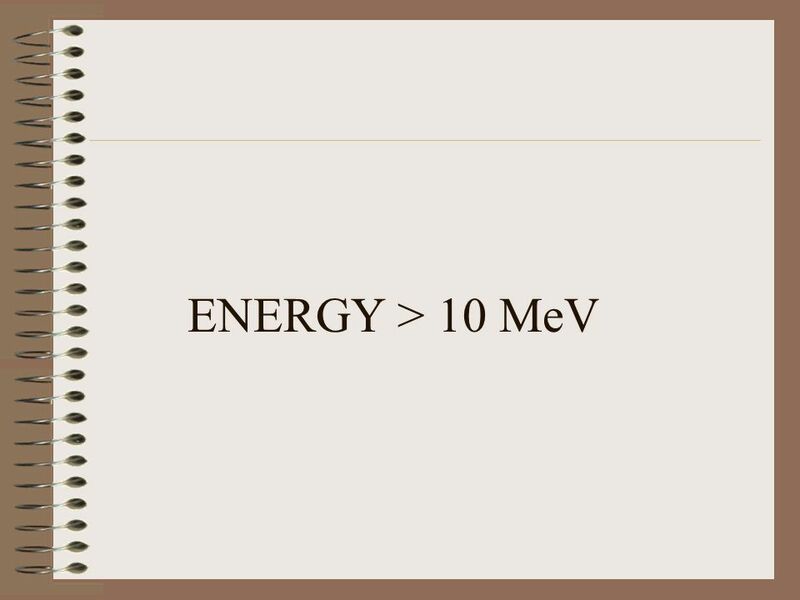 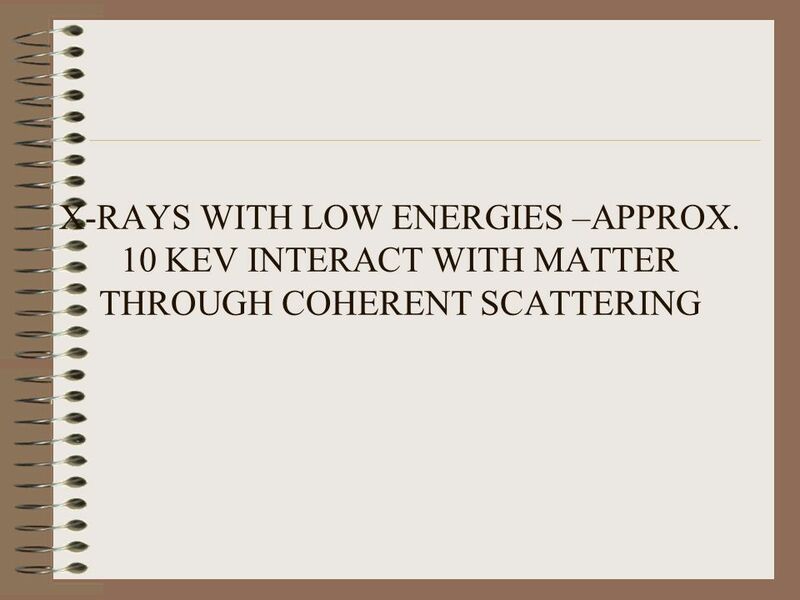 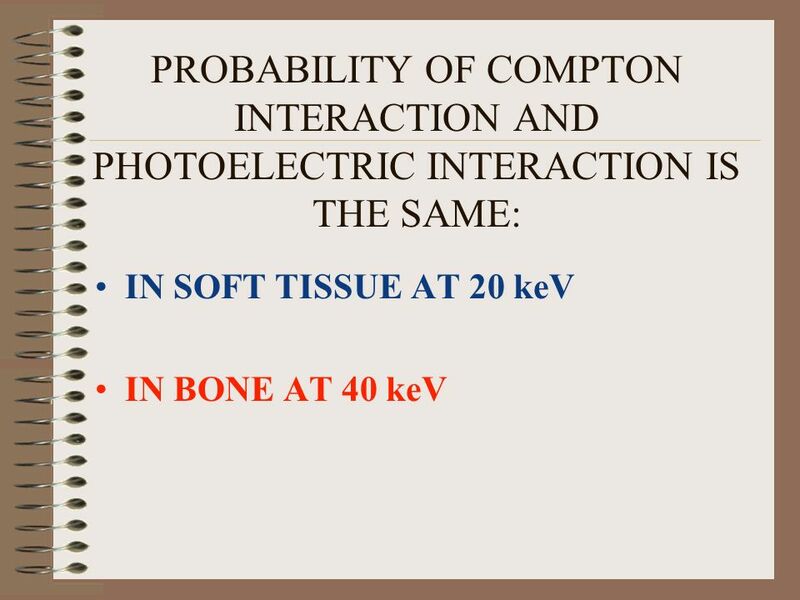 At energies of 100 keV MeV the absorption of radiation is mainly due to the Compton effect. 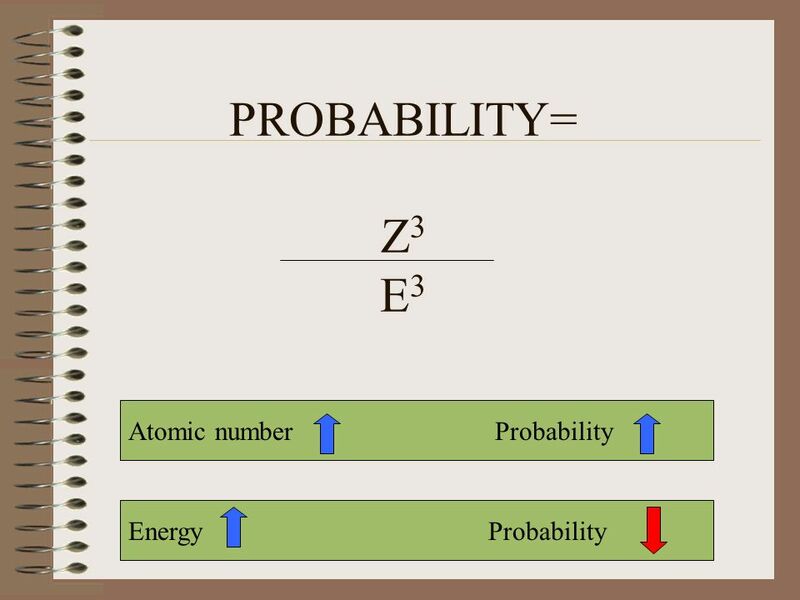 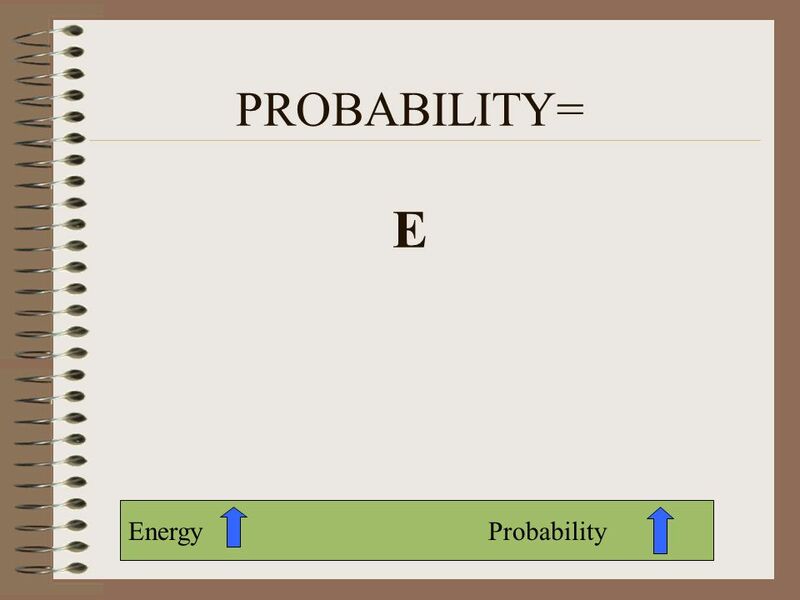 21 PROBABILITY= 1 E Atomic number No effect on Probability!! 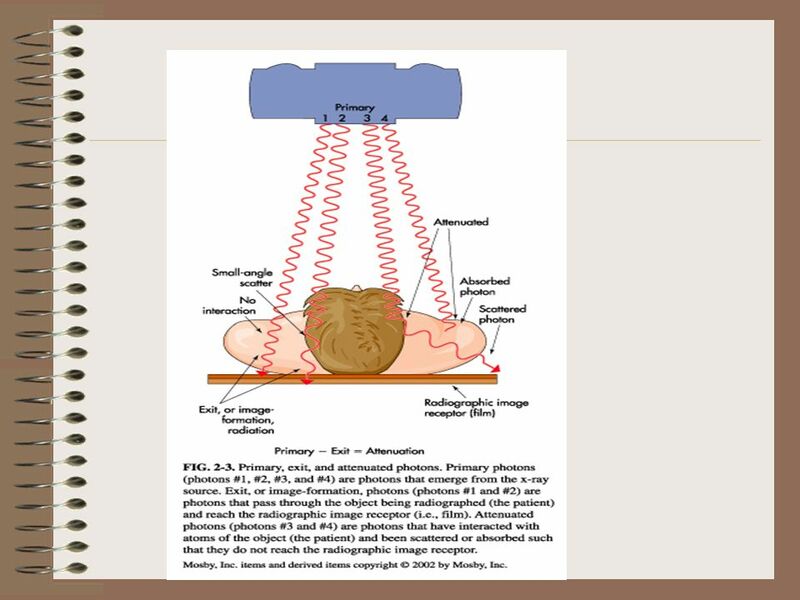 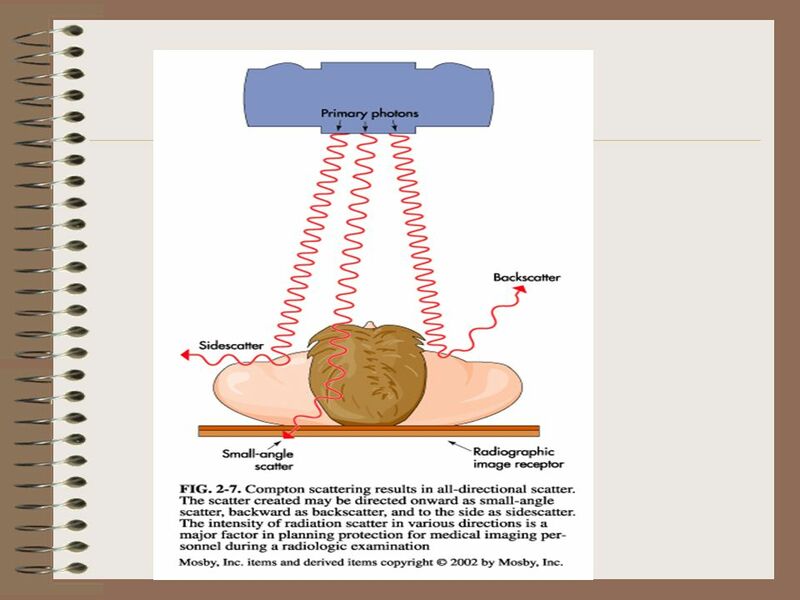 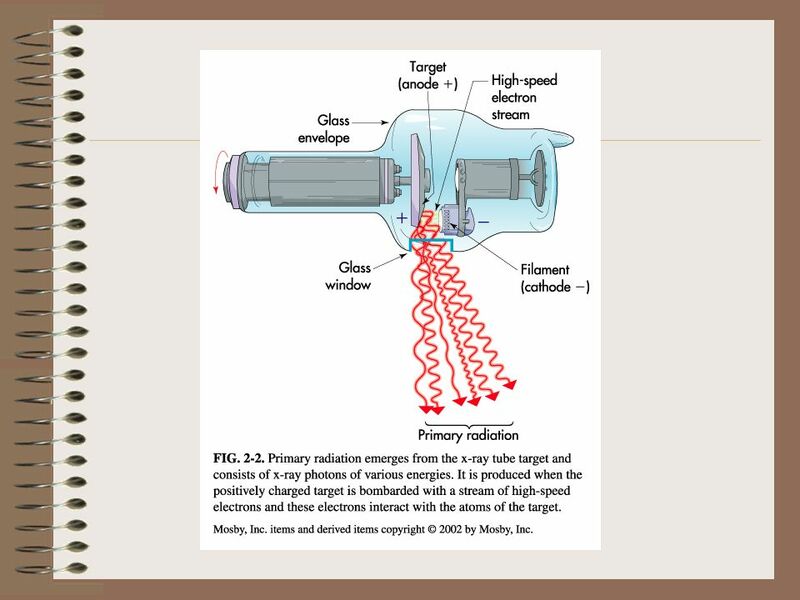 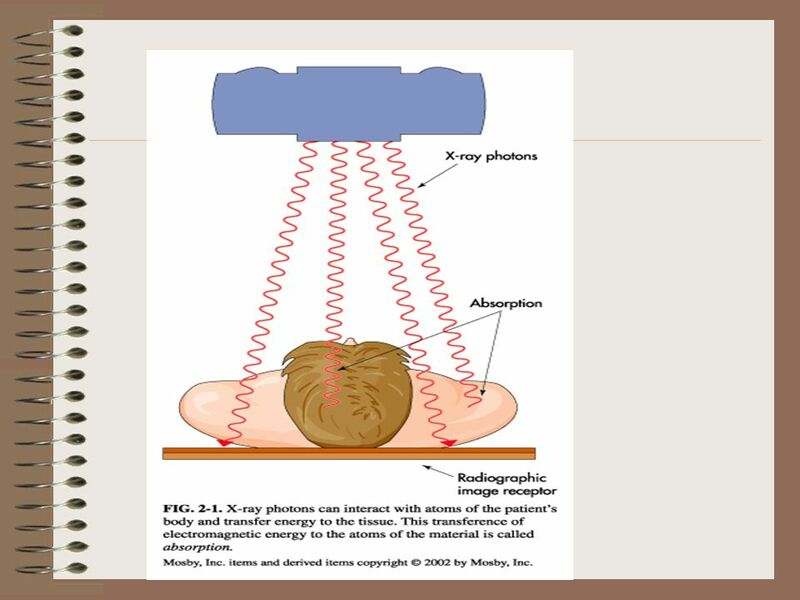 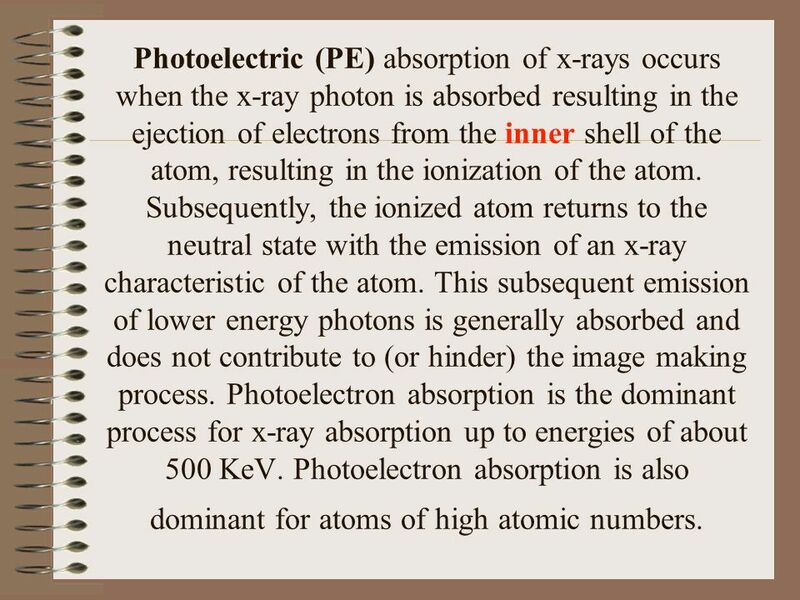 23 Photoelectric (PE) absorption of x-rays occurs when the x-ray photon is absorbed resulting in the ejection of electrons from the inner shell of the atom, resulting in the ionization of the atom. 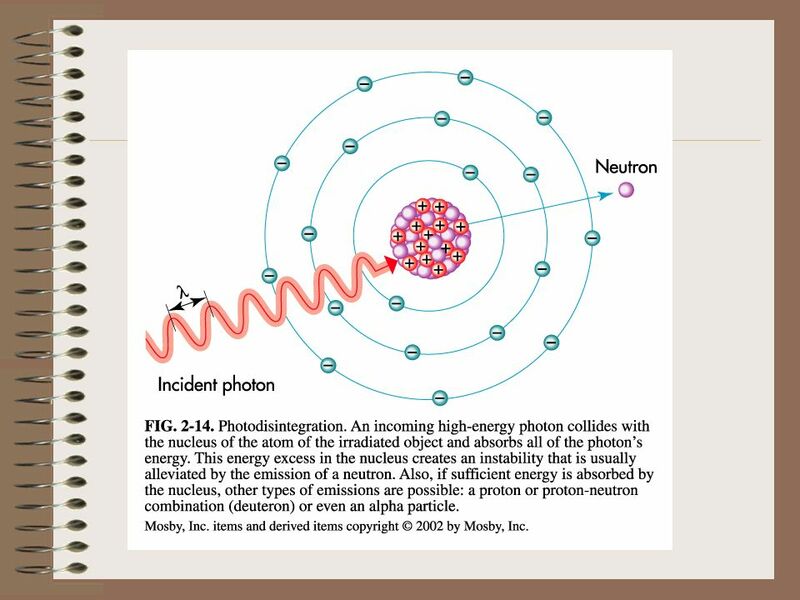 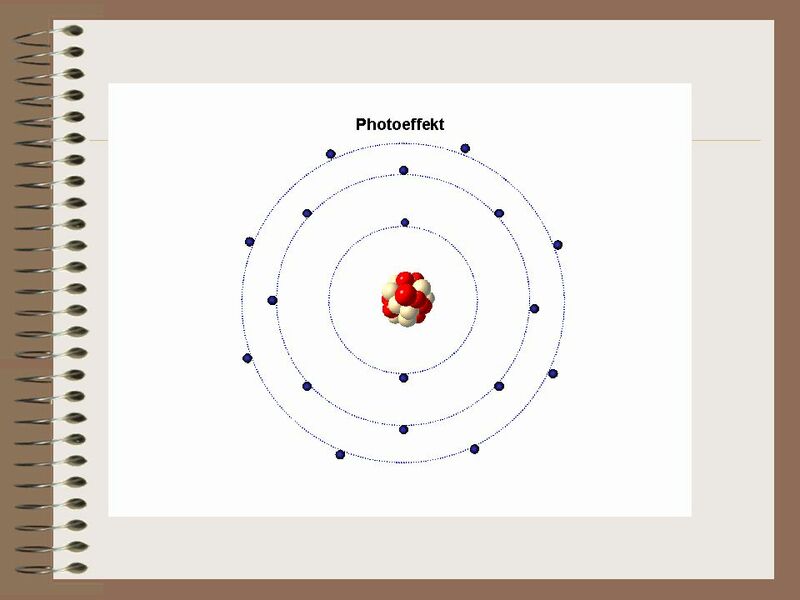 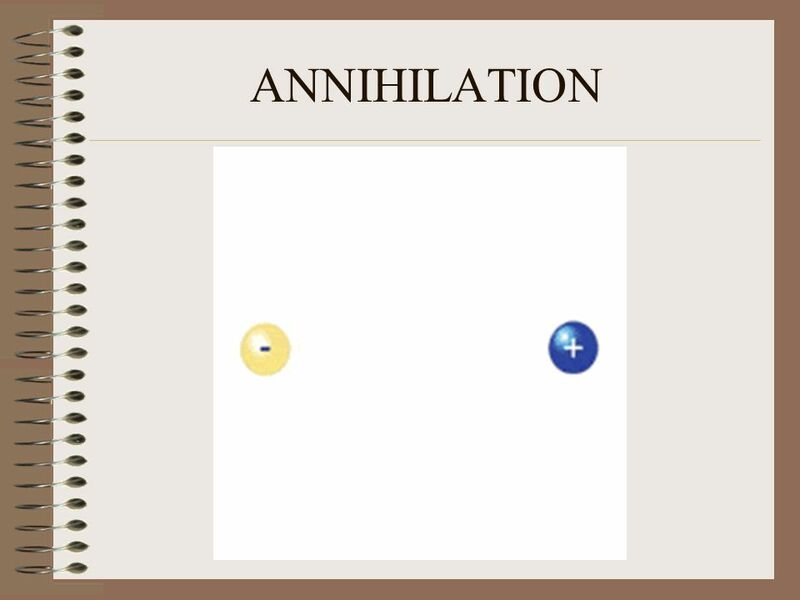 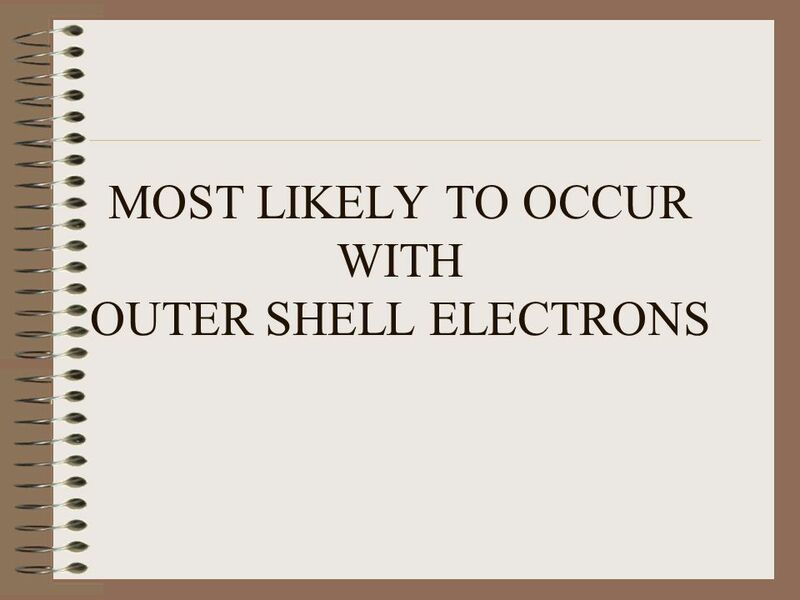 Subsequently, the ionized atom returns to the neutral state with the emission of an x-ray characteristic of the atom. 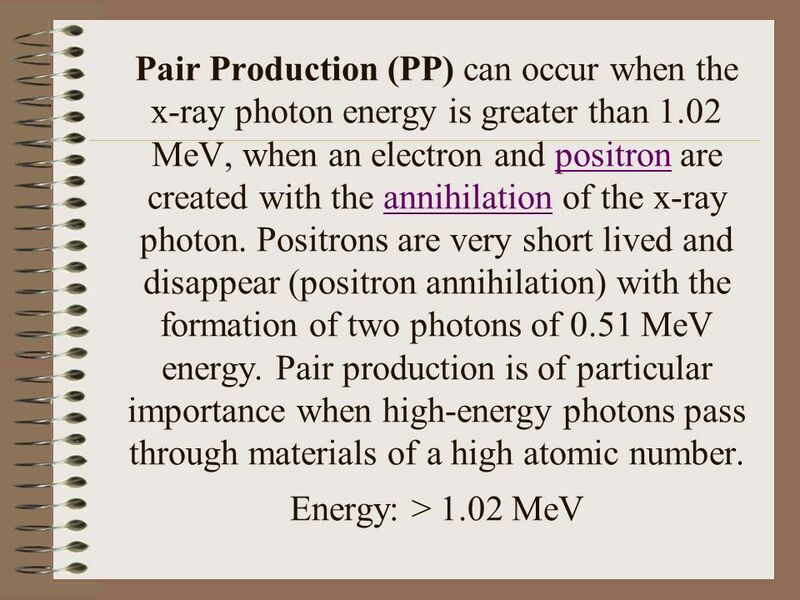 This subsequent emission of lower energy photons is generally absorbed and does not contribute to (or hinder) the image making process. 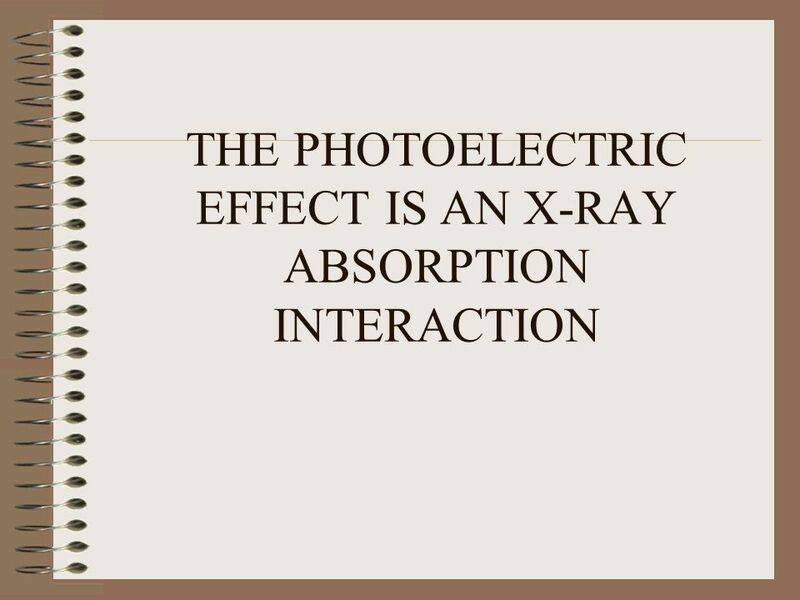 Photoelectron absorption is the dominant process for x-ray absorption up to energies of about 500 KeV. 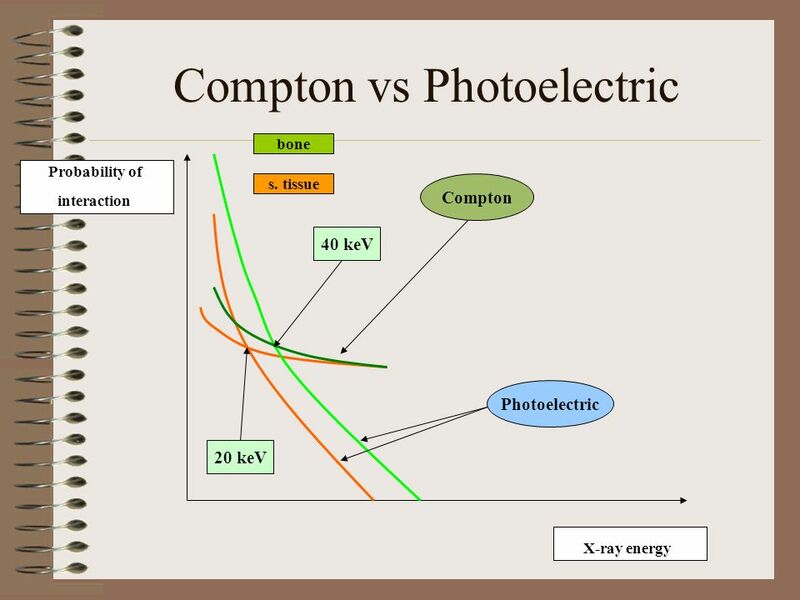 Photoelectron absorption is also dominant for atoms of high atomic numbers. 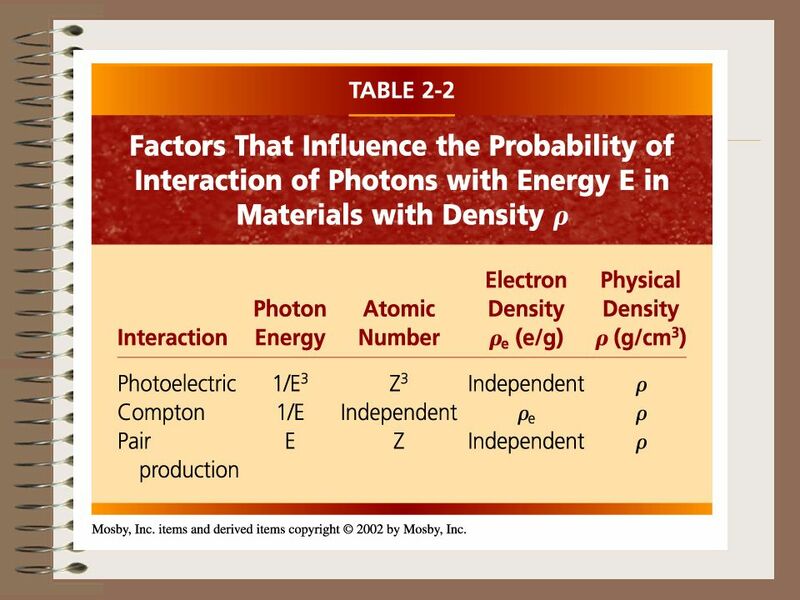 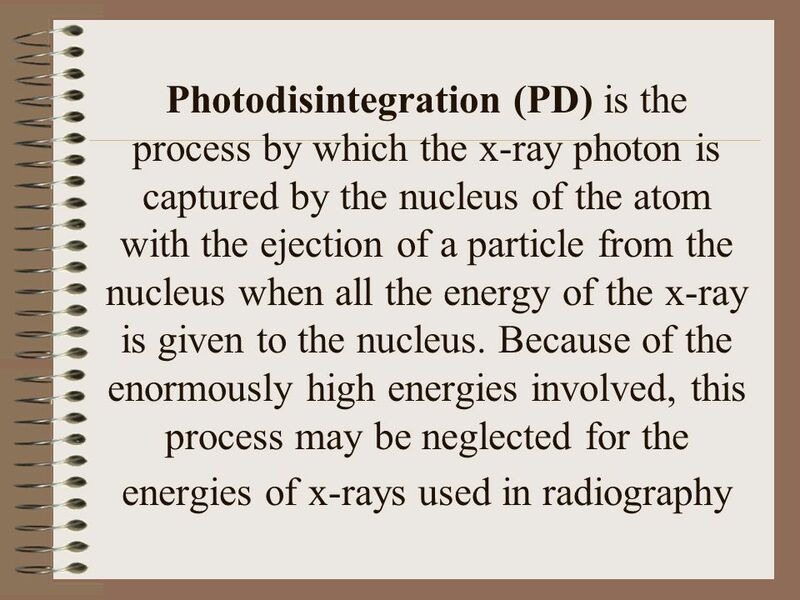 Download ppt "X-RAY INTERACTION WITH MATTER"
Physics of X-rays By Dr. Amr A. Abd-Elghany. 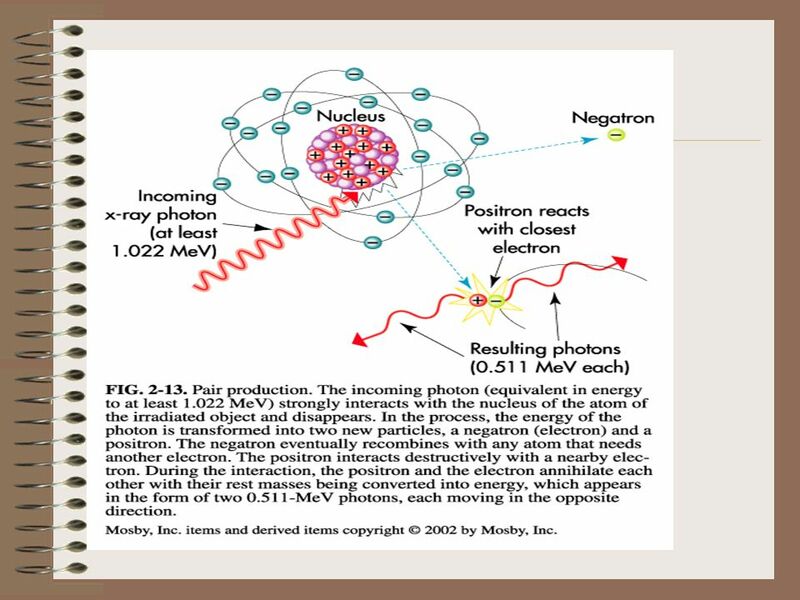 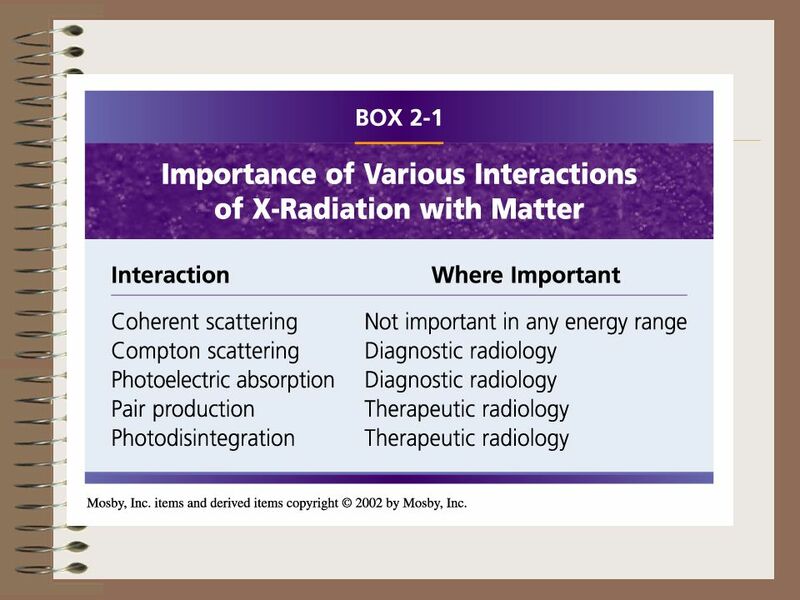 Physics of Radiotherapy Lecture II: Interaction of Ionizing Radiation With Matter. 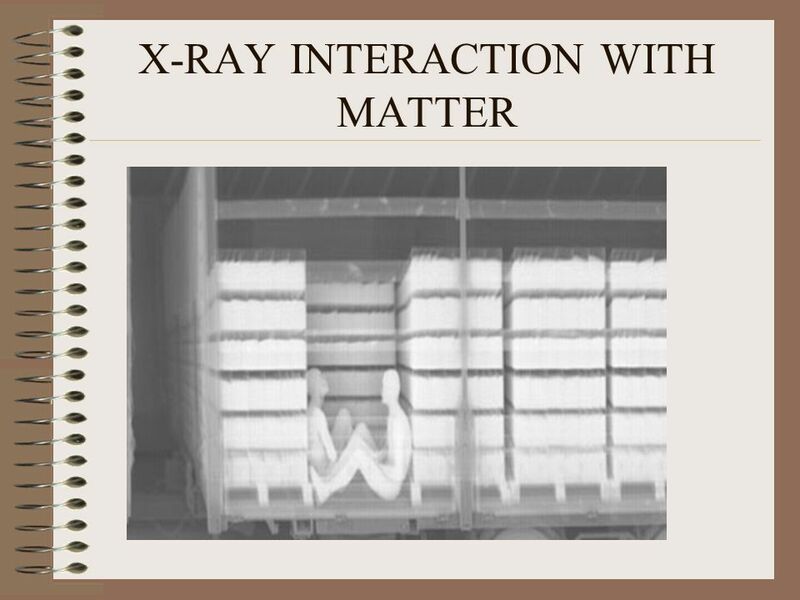 Physics of Radiography Interaction with matter. 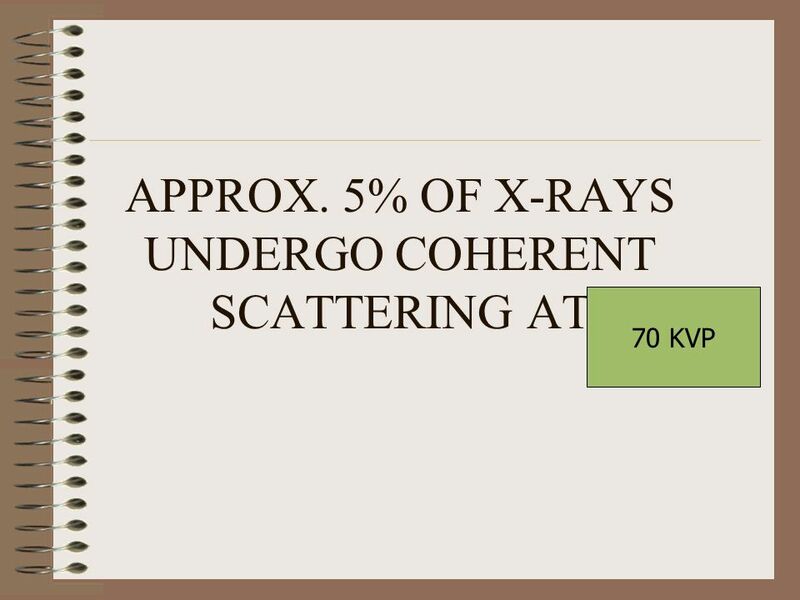 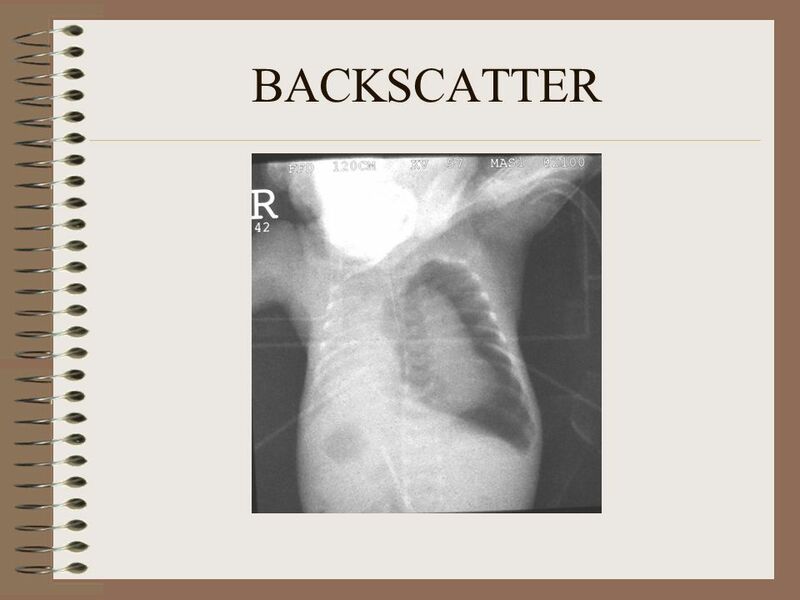 By the end of the first part of the session you should be able to: 1.Understand what can happen as x-ray.